Regardless of how large or small your organization is, finding and keeping qualified talent is vital to your long-term business success. However, having to cope with employee turnover is inevitably part of the process that demands attention. Since the cost of gaining a new employee is more than double the cost of keeping one, knowing how to keep your staff happy and engaged at your company is critical. Here are four key tips to keep your employees right where they are. It’s no secret that everyone enjoys having a job that pays well. Not only does it relieve financial pressure, it also lets you know the company you work for truly values you. A competitive salary and benefits package is the primary motivator for many employees, and organizations should take their time drafting a plan that’s both rewarding and sustainable. Companies able to offer retirement savings plans and other competitive perks often see lower turnover rates and higher satisfaction levels in their employees. A higher salary, however, is not the only requirement to keep your employees motivated. No one wants to feel like they’re on their own in “learning the ropes” at their new job. Rather than a “baptism by fire” approach, managers should be involved in adequate employee training schedules to help their staff properly acclimate to their new environment. Thorough training gives employees the best chance for success and lets them know you’re invested in their future with the company. Workplace environments make a large impact on an employee’s happiness at work. Employees want to feel comfortable when they‘re in an office setting, and they’re statistically more productive when they are. While every office has to set their own standards when it comes to dress codes and office decor, it’s important to note that casual work environments are becoming much more common. Many organizations try to make the work environment feel like a home away from home, giving employees even more reason to stick around. This includes facilitating employee break rooms, cafeterias, and welcoming office decor. These efforts help build office morale and help to keep staff long-term. No employee wants to feel like they’re at a dead-end job. Employers that show they care about their staff and their career development are much less likely to see their staff turnover rates rise. Regular performance reviews and evaluations are important as employees know there is always the possibility of raises down the road. Offering career advancement opportunities in the form of online courses, outside seminar and classes helps your employees develop their skills and keeps them passionate about what they do. 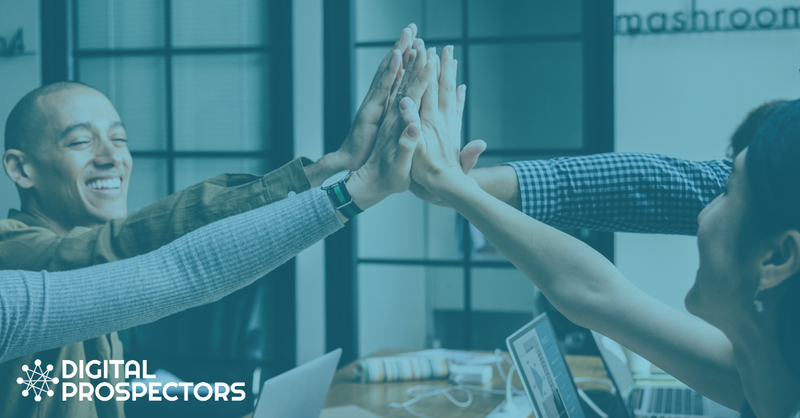 By working with them directly, setting goals and helping to achieve them, you’ll show you value their time and want to see them succeed with your company. Keeping your staff long term doesn’t have to be an impossible task. By following these four tips to keep your employees motivated and engaged, you’ll ensure you have a workforce who enjoys what they do and are happy to stay right where they are. If you need help with staffing, contact one of our top recruiters today for more information!